In June 2015 we unveiled a three story public artwork celebrating the Living Los Sures project. The artwork was produced by UnionDocs in collaboration with comic artist, José Luid Medina and artist and mural painter, Daniel Colón. The mural Live and Let Live is a collaborative public art project by José Luis Medina and UnionDocs Center for Documentary Art. 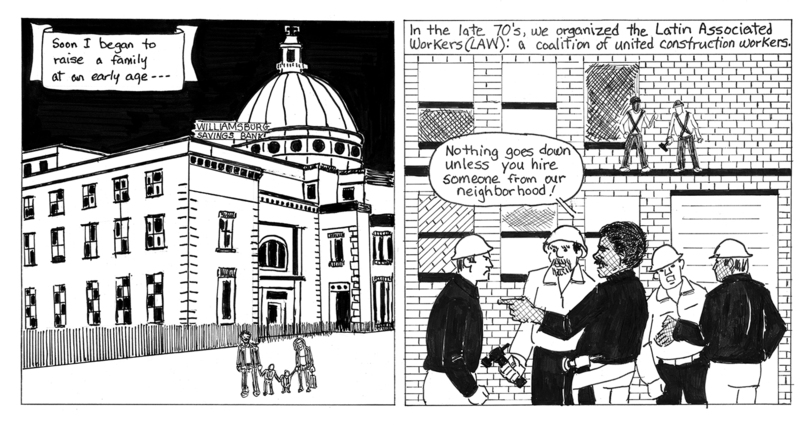 The portrait and comic strip are based on the life of longterm Los Sures resident, Cuso Soto. Soto was one of the main people filmed in a documentary from 1984 about the Southside of Williamsburg. This film inspired UnionDocs’ expansive documentary project, Living Los Sures. The mural is located on the facade of UnionDocs, Center for Documentary Art, located in Los Sures at 322 Union Avenue, Brooklyn, NY. 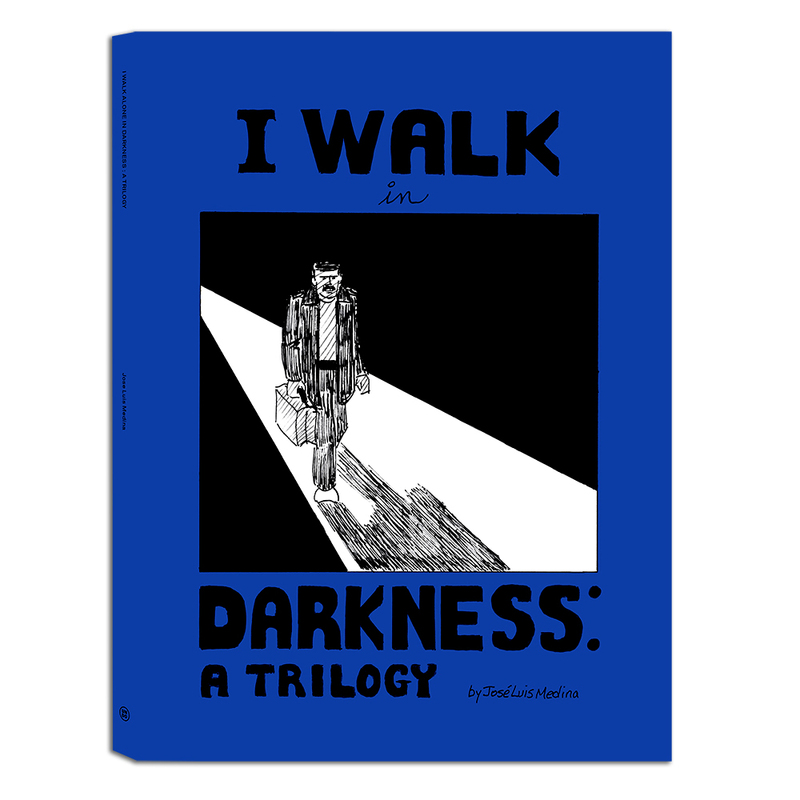 I Walk in Darkness: A Trilogy is the first volume of José Luis Medina’s artwork and the first foray into comic publishing for UnionDocs. It might seem strange for a Center for Documentary Art to take on such a project. Medina’s beautifully rendered, spiraling trilogy is obviously fiction and perhaps closer kin to surrealist/noir cinema than to the truth-seeking methods of most documentarians. 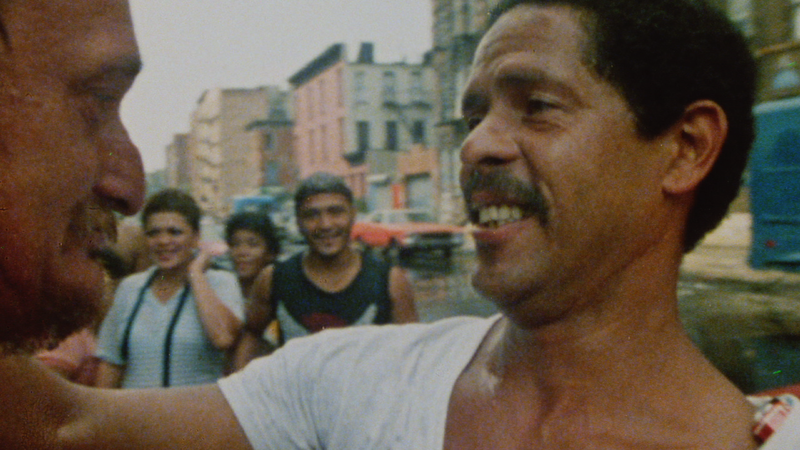 We learned of José Luis Medina through Living Los Sures, a multi-faceted and ever-unfolding documentary about the Southside neighborhood of Williamsburg, Brooklyn, also known as Los Sures. UnionDocs has been producing this project with about sixty artists and over one hundred community members over the past five years. We are located in the neighborhood, inspired by its history and excited to participate in the cultures that thrive here. 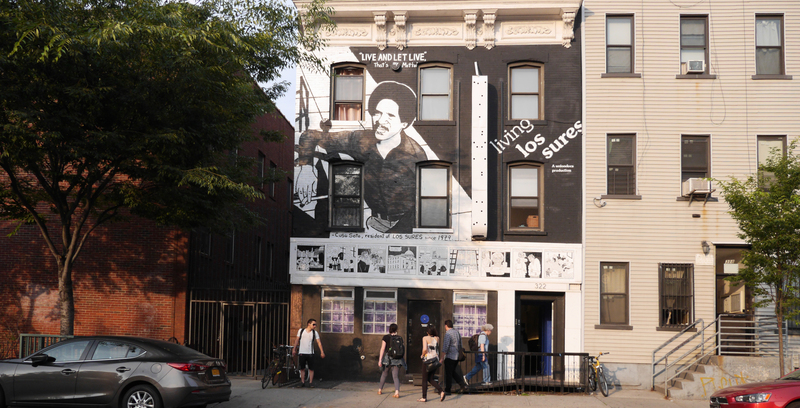 In many ways, Los Sures is one of the most important Latino enclaves in NYC because of the vibrant long-term community that has fought and overcome so many struggles through the years. José Luis Medina is a member of this community and during work on the project, Olivia Koski, a fellow in our collaborative studio, met him and became fascinated with his artwork. The feeling spread. For a few years we followed, page by page, as José posted his comics online. The complexity and intelligence behind his vision became more and more clear. We were thrilled when Medina accepted our invitation to collaborate on the creation of a mural for the UnionDocs building, one of the many components of Living Los Sures. We decided it was absolutely necessary to accompany this unveiling of public art with an opportunity for others to explore Medina’s work. So, we took on the task of helping to bring this very special volume together. I Walk in Darkness: A Trilogy rewards the attentive reader. Locals may recognize details of Los Sures from the 1970s, many of which remain today; social clubs, stoops and familiar skylines. References to film, the author’s family and favorite artists also abound. The rich setting and allusions to the Medina’s life create curiosity, but are not the principal monuments of this shadowy landscape. The story is a universal one. It primarily operates in the space of a wandering mind, texturing the experience of memory, dream, guilt, trauma and nightmare. Duality and double-take create circles and open questions. For some of the answers, we’ll just have to wait for the next episode. Live and Let Live is a 9 panel comic chronicling the life of Cuso Soto from his arrival to New York City in 1941 to his life in Los Sures in the present day. Read the Comic Live and Let Live.